Young Solsken was born to a vegetable grower and artist in a homestead near Hoelbrak. Solsken was deeply inspired by his father who was close to nature, and travelled widely, capturing nature's beauty in paint. Tales were told of his travels; they said the ground bloomed under his footsteps. He was given the surname Blomljud. Solsken is proud to carry this name too. Determined to live the quiet peaceful life, Solsken found a mate, and had a single daughter. Together, they tilled the soil, and hunted Dolyak. Solsken had no desire to wander, but his mate and daughter would make regular visits to Lion's Arch, and come home with stories of Charr, and Sylvari, and armfuls of exotic goods. But Solsken rarely accompanied them. ...at least he walked them to the Hoelbrak / LA asura gate. He didn't know it at the time, but the glimpse of their long flowing hair, walking side-by-side would be the last he'd ever see of them. Their bodies were found by the Lion Guard 10 days later washed up on the shores of Sanctum Harbor. Solsken wasn't there for them. He wasn't there to protect them. In fact, he hasn't been there for anyone but himself. Wracked with guilt, Solsken withdrew. And then the stories of a new threat emerged. The attack on Lion's Arch wasn't the endgame. Awakening another elder dragon was. What would Solsken do to honor the legend of his mate and daughter. What would he do to redeem himself from a life of safety and risk aversion? I'm leaving Hoelbrak. With Wolf as my guide, I am taking the spirit road to find peace again. To find home, I will learn all there is about the stories of Tyria. To honor the great spirit, I will gain knowledge and explore her corners. To honor my missing loved ones, I will stand up for the weak and dispossessed. To honor my father, I will seek truth, beauty, and bring constant bloom to the lands I travel. These are my chronicles. Home: Had moved to Lion's Arch, Western Ward, before Scarlet's attack. Scars or other Unique Features: Scar over right eye. Doesn't like talking about it. Motivations: Discovery / Adventure. He has a particular interest in The White Mantle. 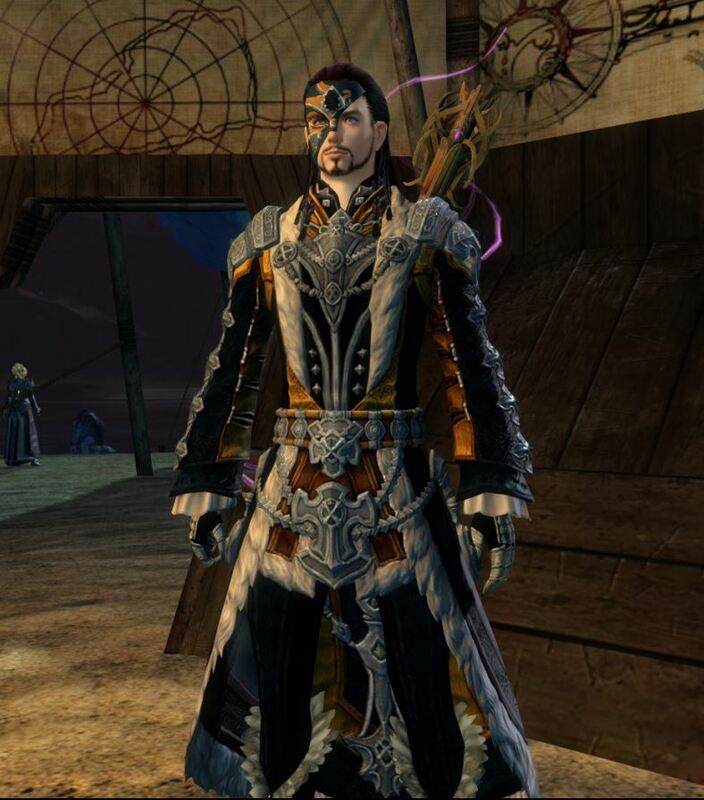 Other Unique Details: Elwick has an insatiable appetite for knowledge of the world around him, and seeks to discover all the secrets Tyria holds. He holds a reverence for nature, and has an almost child-like enthusiasm for knowledge. Unique Possessions (Heirlooms, Armor, Weapons, and Other Equipment? ): A wooden flute, two masques. Elwick had an unremarkable upbringing. He was a slightly spoilt only child of a fairly well-off family who occasionally rubbed shoulders with the nobility. Elwick longed to be noble. As a teenager, Elwick grew infatuated with a priestess of Lyssa, and fell in love, in a teenage way, with images of Lyssa and the mystique surrounding mesmer magic. Secretly, he would read texts on the topic, and had come to be able to materialise chaotic energy across his fingertips. Then something happened one day in the back streets of Divinity's Reach that Elwick rarely talks about; a purple scar the lasting legacy of that afternoon. Elwick knew it was time to harness his talents and develop discipline around what he could achieve. He studied mesmer magics from an acolyte of Lyssa, and joined a performing troupe who would entertain crowds in Divinity's Reach. This was how Elwick spent his 20s. Elwick was content, and lazy. Elwick's mother made regular trips out to Shaemoor, and beyond, but Elwick insisted that such trips were beneath him; that mixing with the riff-raff was unbecoming. So within Divinity's walls, he stayed. 18 months ago, Elwick's mother made a trip to Edna's orchard, a trip not unusual for her. However, while perusing the picked fruit, Edna's orchard was beset upon by bandits. The local seraph intervened, but Elwick's mother caught a stray bullet from a bandit's rifle, and was killed. After a period of mourning, Elwick channeled his grief into launching a personal enquiry into the incident, and leveraged his many contacts he had in the ministry. It was during this enquiry that information came to light that The White Mantle, always a topic of fascination for Elwick, may still be operating surreptitiously, and secretly funding the bandits of Queensdale. Not only that, but there may be some inside the ministry with affiliations with the White Mantle. 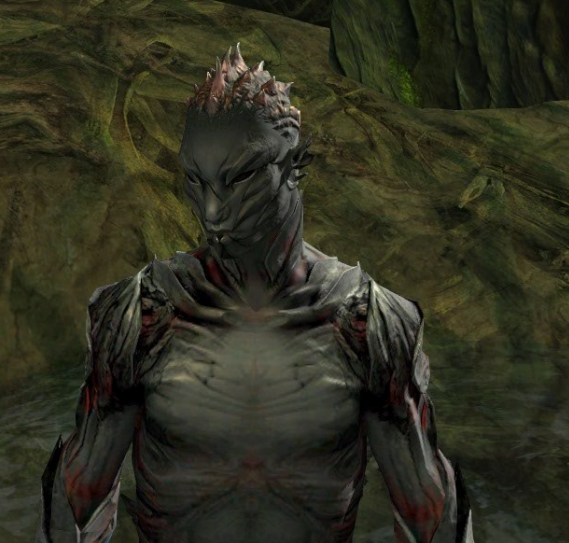 Finding himself alone, and filled with anger, he knew it was time to leave Divinity's Reach. The place held too many painful memories, and he wasn't getting any younger. It was time to take matters into his own hands. If the white mantle, and human governmental corruption had anything to do with his mother's death, he wanted to know. Plus, he knew of many other families who had lost loved ones to bandits, dragons, and strange creatures that slink in the woods. He knew that while the rich and noble were fat and comfortable, those doing real work in the fields and those keeping the walls safe were suffering and dying. He decided that the time of learning from books was over, and it was time to learn first hand. He was going to help the weak and the hungry, and no longer sit idly by in the safe comfort of the city. And he has questions his books won't answer: Why are the six gods silent? Who really are the Seers, and where have they gone? What has happened in Cantha? Why have the dragons awoken now? 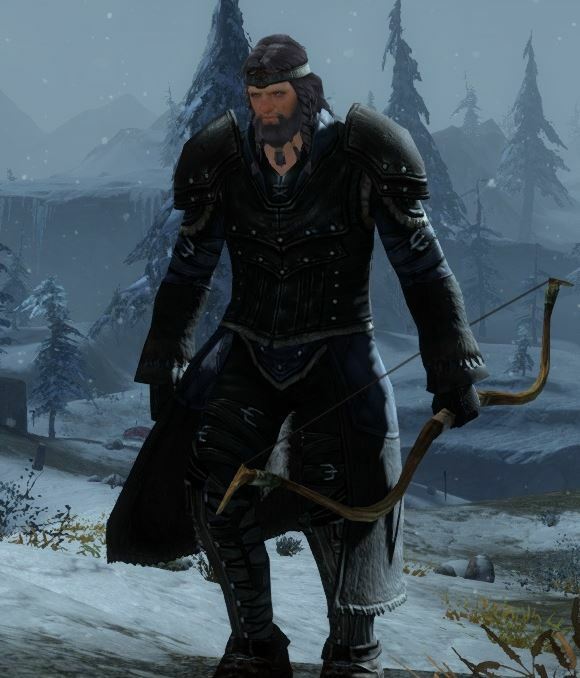 With the money he had saved, he bought a shack in Lion's Arch. From there, he would begin a new chapter in his life. He would give back to Tyria and no longer take the world for granted. After adventuring for some time alone, he yearned for company.... He's currently looking for a band of adventurers to join. I have no memory from before. Just the sensation of swamp water and the taste of dirt in my mouth. Muffled swirling of water in my ears. I sit upright, splurting water out and coming to. Slowly, mists coalesce into forms...Wychmire Swamp...Am I really seeing? I recognise things, but I have no memory of ever being there...I have no memory of being. I sit, perhaps for minutes, perhaps for hours, perhaps for days. I appear to have one foot in the mists.... I can concentrate on the voices.... channel them. If I study them, perhaps I can tame them, harness them.